GENERAL Brian Peddle and Commissioner Rosalie Peddle (World President of Women’s Ministries) were guests of honour in Kuwait to celebrate 10 years of Salvation Army ministry in the Middle East. The celebrations were intended to testify to what God is doing today, be a springboard to the future and give thanks for his faithfulness over 10 years of Christian ministry. 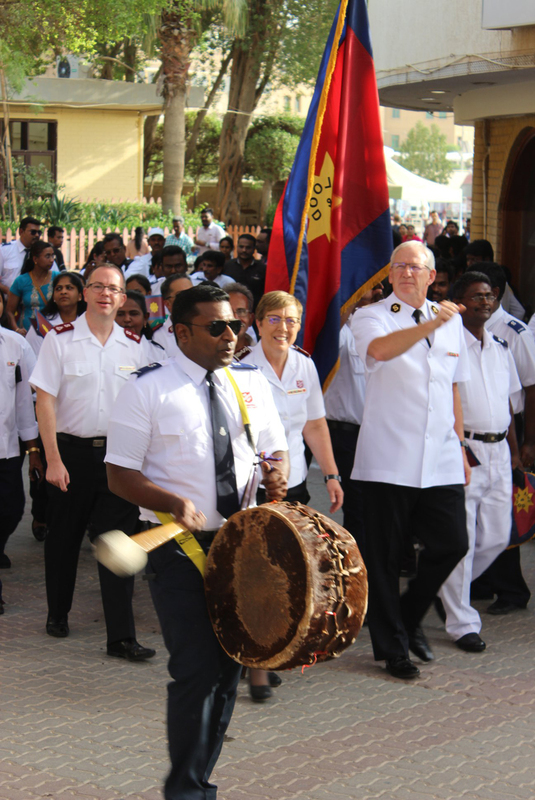 Some delegates were able to travel from other countries that make up The Salvation Army’s Middle East Region – Bahrain, Oman and the United Arab Emirates. The international leaders moved on to the National Evangelical Church compound to be greeted by many enthusiastic onlookers, including flag-waving, singing Salvationists. A public welcome and celebration then took place in a united service with The Lighthouse Church. Senior Pastor Gerald Golbeck welcomed the international leaders before the congregation joined in praise and worship, with musical accompaniment provided by the Lighthouse Church praise team and Kuwait Brass Band. Children dressed in bright yellow sunshine T-shirts enthusiastically sang and danced to ‘Shine from the Inside Out’. 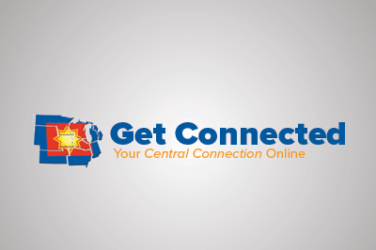 In her message, Commissioner Peddle explored the biblical foundation for declaring the glory of the Lord, saying that each person should reflect God’s glory where he or she lives. On Saturday morning Sheikha Hussah Sabah al-Salem al-Sabah, daughter-in-law of the Emir of Kuwait, HH Sheikh Sabah IV Ahmad Al-Jaber Al-Sabah, had made it possible for the General and Commissioner Peddle to tour the Amricani Cultural Centre, which she created and is director of. The visitors were able to see the Islamic art collection but also what could be called the spiritual birthplace of Christianity in Kuwait, as the centre is on a site occupied more than a century before by Dutch Reformed Church missionaries. The party then moved to host a lunchtime thank you reception for 60 people, both Kuwaiti and expatriate, including embassy staff, senior church leaders, lawyers and lay people. The guests were representative of many people who have helped The Salvation Army’s development in Kuwait. All who attended received a small gift of Salvation Army tea, and a cup and saucer candle with the tag ‘All the darkness in the world cannot extinguish the light of a single candle’ (Francis of Assisi). The General was presented with his own ghutra or kufiya headscarf, which a willing Kuwaiti helped to arrange. A Salvation Army-style praise and celebration meeting followed in The Lighthouse Church. The meeting included a youth praise band, brass band, children’s flag-waving welcome, prayer, preaching and challenge. Kuwait’s most recent soldier testified to finding herself challenged by the Scripture ‘The harvest is plentiful but the labourers are few’, and Commissioner Peddle shared a verse of Scripture that God has placed on her heart in the early days of international leadership: ‘The Lord is my light and my salvation – whom shall I fear? The Lord is the stronghold of my life – of whom shall I be afraid?’ (Psalm 27:1). One of many special moments was the enrolment of 13 junior soldiers by the General, who revealed that it was the first time he had done this since taking on his new role. 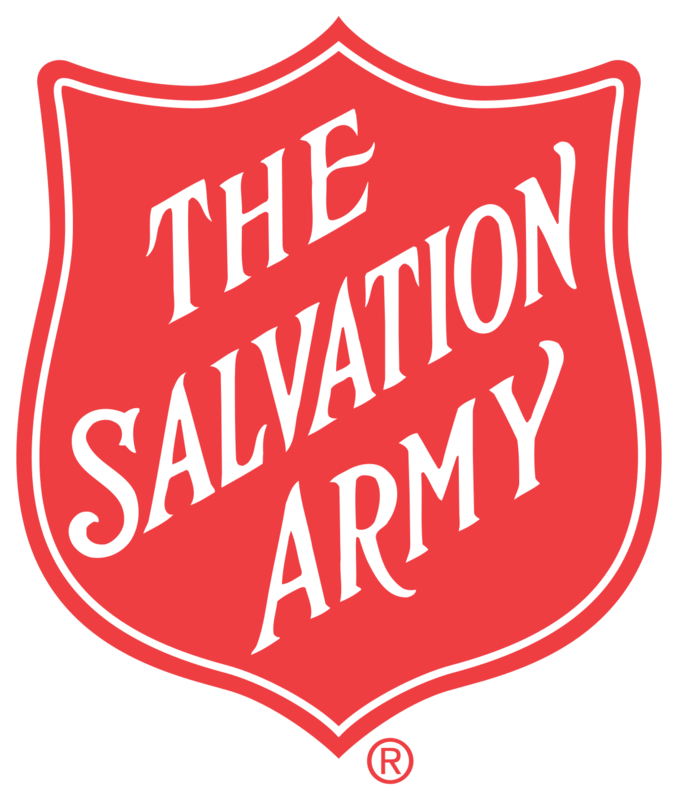 In his Bible message, the General affirmed that The Salvation Army is part of God’s mission in the Middle East, sharing the light of Jesus in the world. Many people responded to the General’s call to kneel or stand with him at the front in commitment to ‘doing what the Lord requires of us’. After the meeting, the international leaders personally greeted members of the congregation before sharing a biryani meal together. On Sunday the General and Commissioner Peddle viewed the Booth House social care programme. Praise, music and drama were provided by residents from seven African nations.